Our goal is to be a one-stop-shop for new float center owners or industry veterans. We have been working hard and are getting ready to get one step closer to that goal! Get a first glimpse at our new software product, launching later this year, helping your business to get to the next level! DreamPOS is a piece of software that is designed to help you run your business as effortless and efficient as possible. The creators of DreamPOS combine over a dozen years of experience creating software with owning and managing a float center. 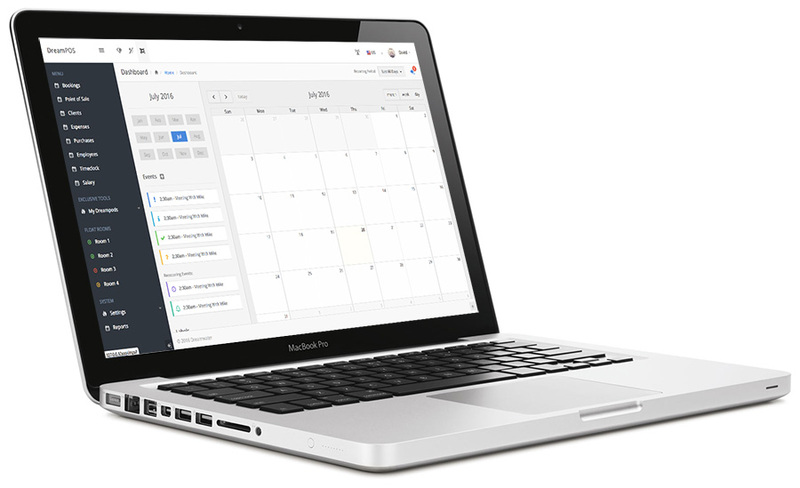 DreamPOS manages your client data, bookings, keeps track of your employees salaries, your float pods maintenance schedules, and much more; all in a tight cross platform package. You will be able to service walk in customers, take bookings via e-mail, phone or internet, and process payments via popular payment gateways and credit card processors. Increase your sales by informing your clients of specials or promotional activities, offer discount codes, gift cards and package deals. Using DreamPos does not require owning a Dreampod. Like what you see? Want to know more, or have suggestions?